It seems that Dad goes for an awkward fist pump, but Mother confuses the combed arm and lunges for the five. 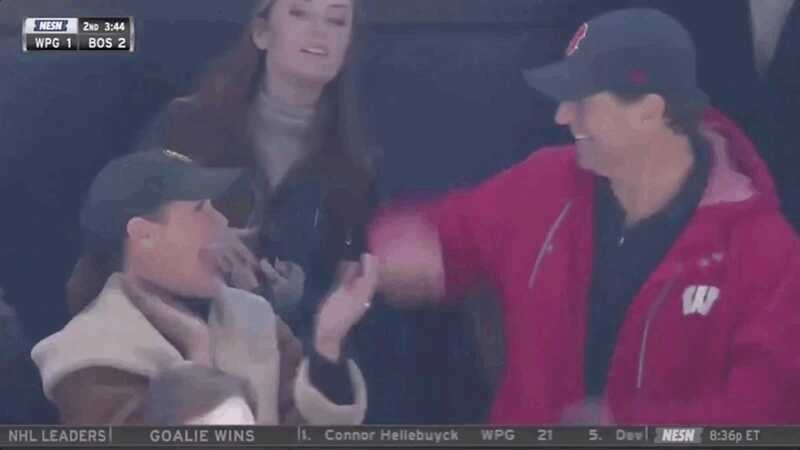 But Dad has to blame one, not to share his wife's impulse to celebrate with a glorious high-five. There is no "I" in "parents!"